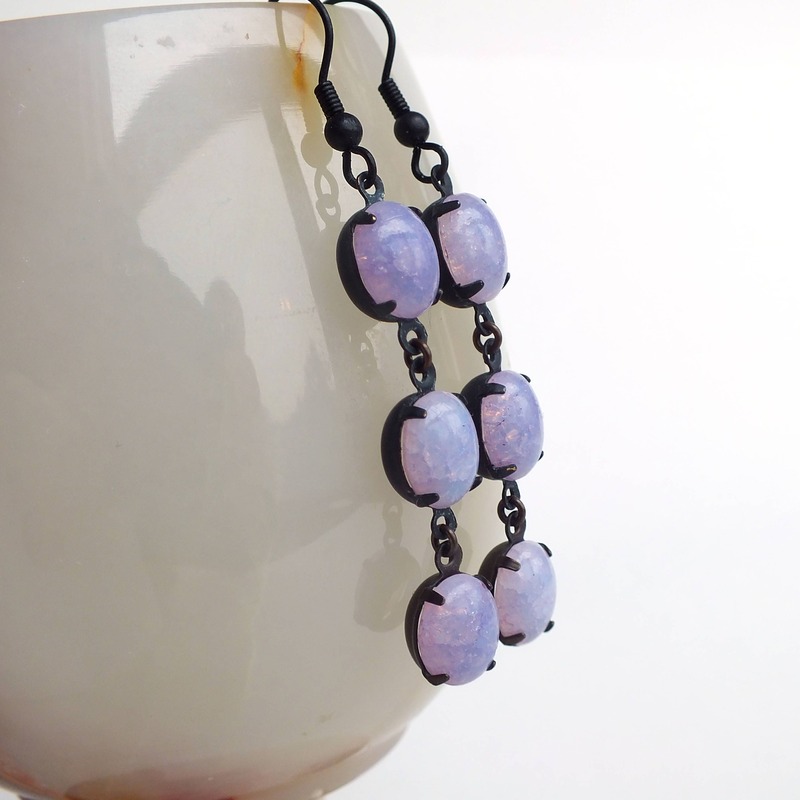 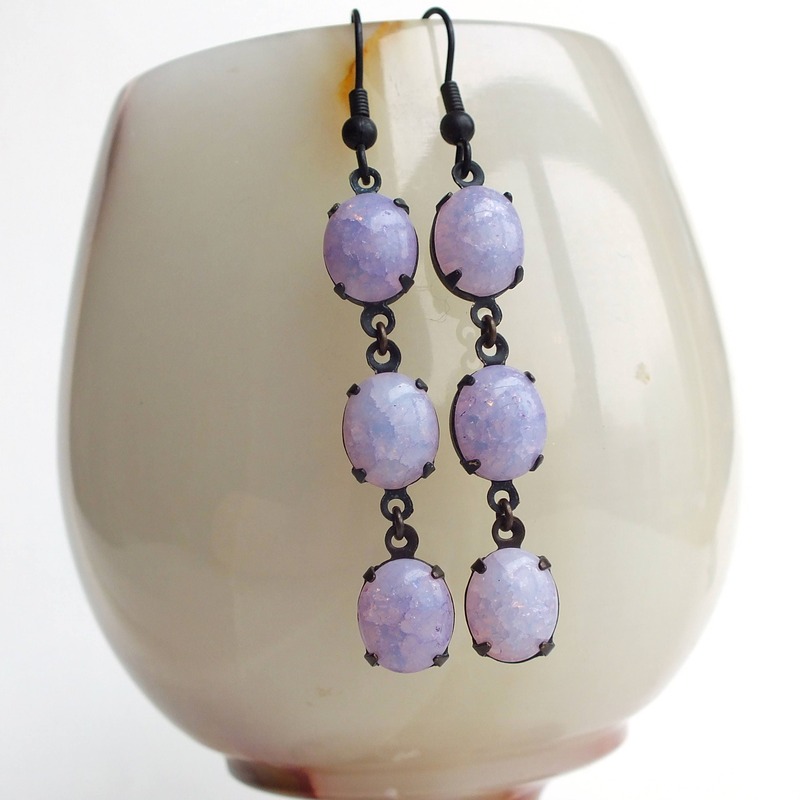 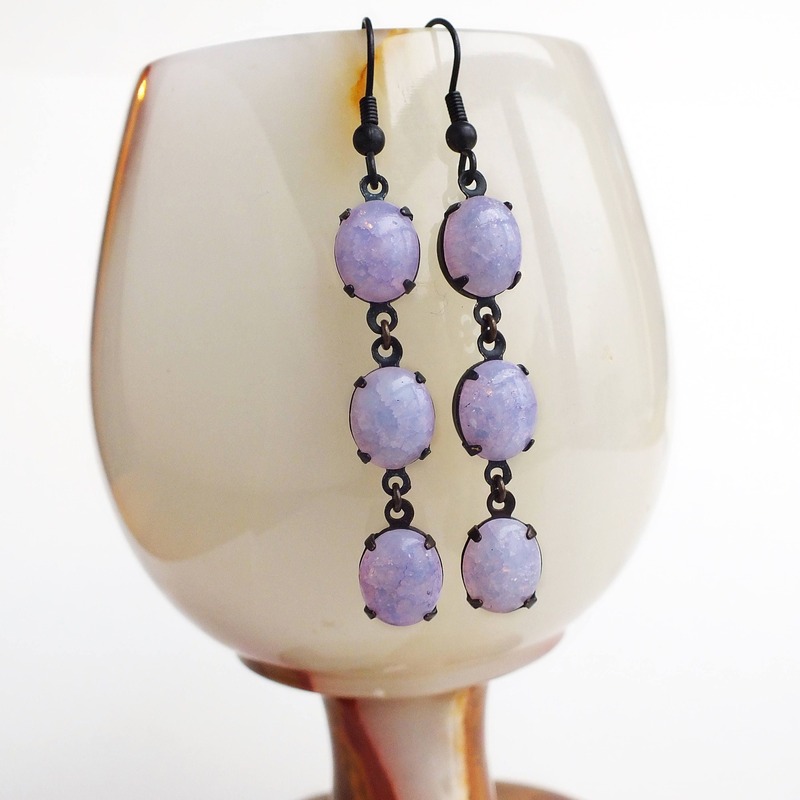 Handmade light purple glass earrings with vintage pastel purple crackle glass stones. 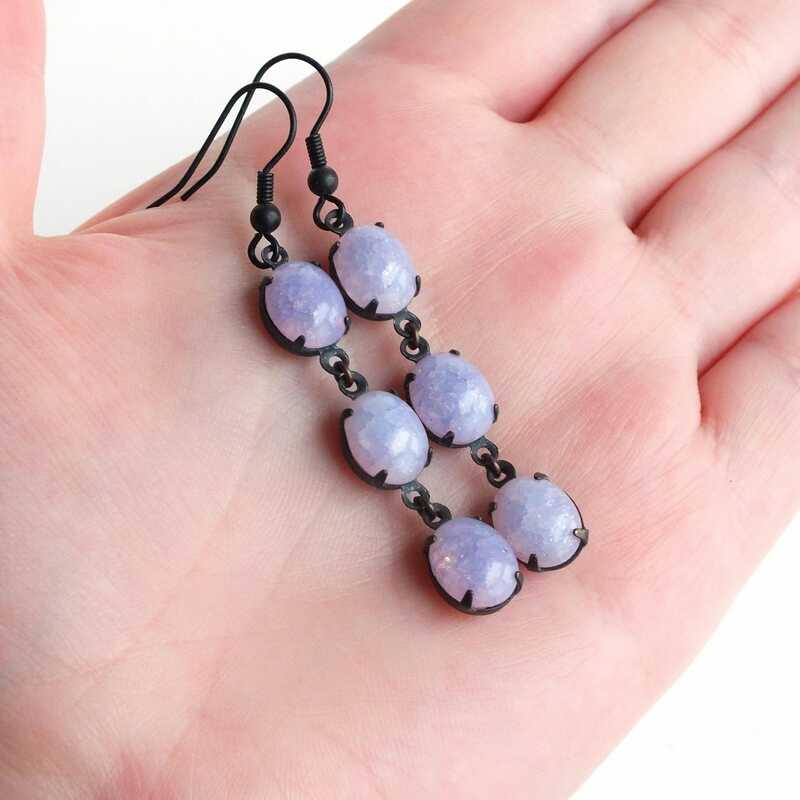 US made blackened brass french ear wires. 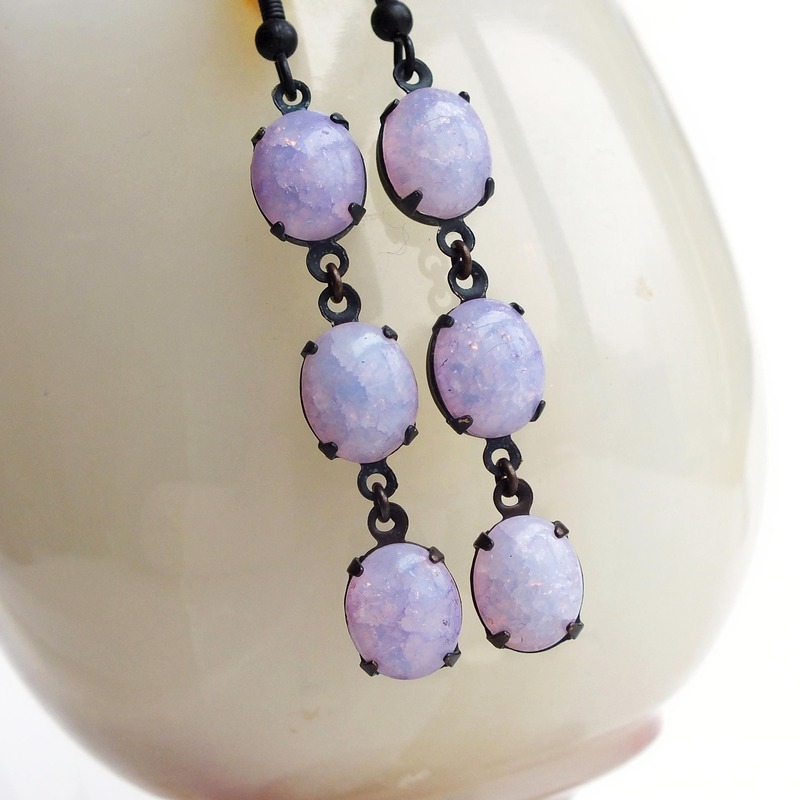 Made with rare vintage pale opalescent purple crackle glass stones set in dark matte brass open-back pronged settings.